The 24h Cat Eye, which took place on the 20th and 21st of June at Sherbrooke University, was a huge success. 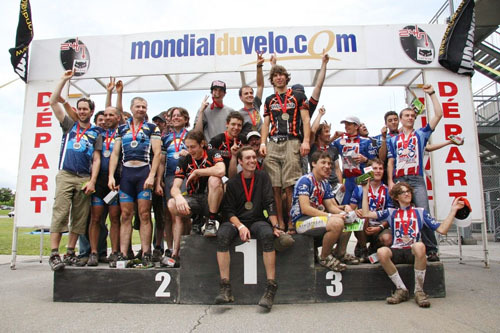 Over a period of 24 hours, more than 200 cyclists participated in this mountain bike endurance race, attempting to complete as many circuits of the track as possible. Everyone was in agreement that the race was extremely exciting and the atmosphere equally as festive. Cyclists in all categories and of all ages gave impressive performances. The fasted solo rider was David Grenier from the Sarto Gagné team, who completed 24 circuits, finishing his last at 12:07 pm! To obtain full results and images of the 24h Cat Eye, please visit the following site: www.dalbix.ca/.